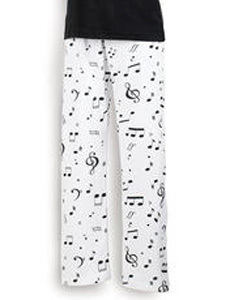 This is a really cute white jersey pants of musical notes design. It's 100% Cotton jersey, nice quality and is sure to give rise to a chuckle or two. Please select size when you add to cart.